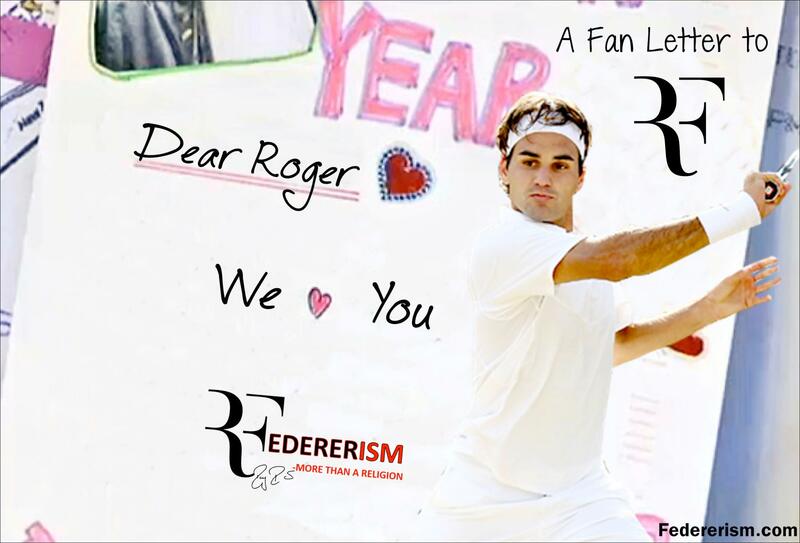 This letter is for you and for Roger. We all became his fans at various stages of his career; some right at the beginning and some a little later as the years went by. We have been under his spell ever since the first time we saw him play. He is the wizard whose racquet is like a magic wand which casts a spell on us every time he wields it. He is the Pied Piper; when he swings his racquet, a beautiful tune seems to flow out of it, making us entranced and follow his every move. He is a classical musician whose symphonies have the power to enrapture us. He is the artist who paints a masterpiece with his every move. He is a Ballet dancer; every move he makes is so graceful. He takes our breath away with every shot that he plays. Roger defies all the norms and pushes the envelope, the younger generations are still playing catch-up, and their journey would be long one. He will be 35 years old soon and he is still reaching the final stages of every tournament, including the majors, making him the oldest player on the singles tour to achieve these feats. He is still ranked number 3. He has been in the top 10 since more than a decade and he will continue to be there for quite some time. He is still beating the top guys on the tour; Last year he defeated Djokovic thrice, at Dubai, Cincy and World Tour Finals and Nadal at Basel. His achievements know no bounds. He has amassed 88 career titles, including 17 grand slams, he was the world no. 1 for a record 302 weeks, and his career win-loss record is 1080-245 and numerous other countless records. And Roger is still making or breaking so many records. He has achieved almost everything a tennis player ever dreams of, maybe even more. But he has a lot more hunger left in him; his passion for tennis is unparalleled and he plays because he simply loves to. There are only a few athletes who have shown such undying passion to excel even after achieving so much. 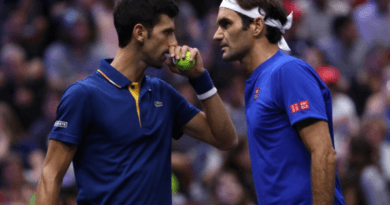 His elegance and effortless style of play has redefined this sport and it has elevated its status to one of the most popular sports of the world. If we compare the TV ratings of the major finals he plays in, with the ones he doesn’t play in, highest ratings come when he plays. Even the court attendance is usually the fullest when he plays. He has won the ATP Fan’s Favorite award for a record consecutive 13 times and Stefan Edberg Sportsmanship award for 11 times, which shows that his fans and his peers alike respect and admire him a lot. Roger Federer ranks among the top five most famous athletes in the world, according to a new list released by ESPN this year. All his peers and junior aspire to be like him. 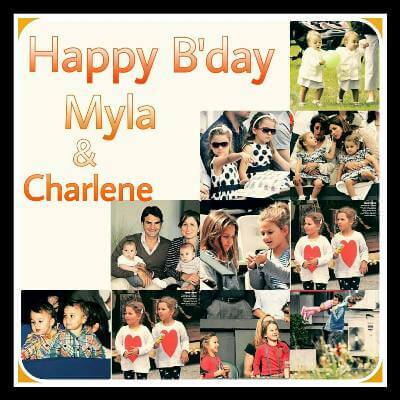 They have on numerous occasions said that they improve themselves mainly to try to match up to Roger. The legends of tennis as well as other sports love him too. He has rightfully earned their respect and admiration in all these years. ”He’s the most gifted player that I’ve ever seen in my life. I’ve seen a lot of people play. I’ve seen the (Rod) Lavers, I played against some of the great players – the Samprases, Beckers, Connors’, Borgs, you name it. This guy could be the greatest of all time. That, to me, says it all.” – John McEnroe, winner of 7 Grand Slams. “The guy is a legend and now he’s an icon. He’s got 15 Grand Slams, that’s a lot of majors, that’s a lot of work. He’s a credit to the game. 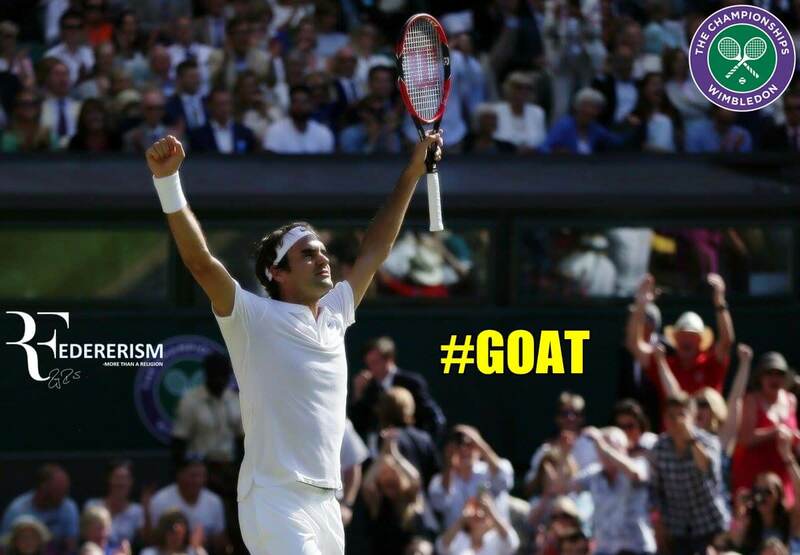 In my book he is (the greatest).” – Pete Sampras. “It’s amazing what sort of shots he can come up with from impossible positions. It’s an unbelievable effort to have 15 grand slam titles. Yes man he’s the greatest player in history” — Rod Laver, the only player in the modern era to have claimed all four grand slam titles in a calendar year. “For me Roger is the greatest player ever who played the tennis game. We are going to see so much more of Federer in the future, he is going to win more grand slam tournaments.” – Bjorn Borg, 11-time grand slam winner. He is a phenomenal human being, both on-court and off-court. He is so humble and down-to-earth; he has never let his fame get the better of him. Recently at the Wimbledon, he stepped back and let the whizkid Marcus Willis bask in the limelight and the attention of the people when he let him enter the court first and letting him applaud the crowd despite being the winner. He is always warm and affable to everyone around. He is true gentleman. He is very cool and calm even with his fans, always patiently signing autographs, no matter how big the crowd is. A few years back, there was a cancer survivor, Beatriz Tinoco; Roger not only met her through the Make-A-Wish Foundation, he flew her and her family to Wimbledon, spoke to her for about 15 minutes, asked her to change for practice, gave her his tennis racquet and hit with her for a bit. He even brought her to the players’ lounge so that she could see players like Andy Murray, Rafael Nadal, Tommy Haas, David Ferrer, Julien Benneteau, Janko Tipsarevic, Serene Williams, etc. He hugged her at last, to which Beatriz began sobbing and he looked back at her with tears in his own eyes. It was the most beautiful thing he could have done for a cancer survivor. It speaks volumes about him. He has an adorable family, parents who taught him respect and ethics, a wife who supports him through thick and thin and has been with him when he had zero titles to his name and 4 beautiful kids. He is also the most marketable athlete in the world and he has some major endorsement deals that also make him the 2nd richest tennis player after Djokovic, and the margin of this difference is hairline. We, his fans love him unconditionally; win or lose, we all have always supported him and we will continue to support him till the very end. We all believe in him no matter what. 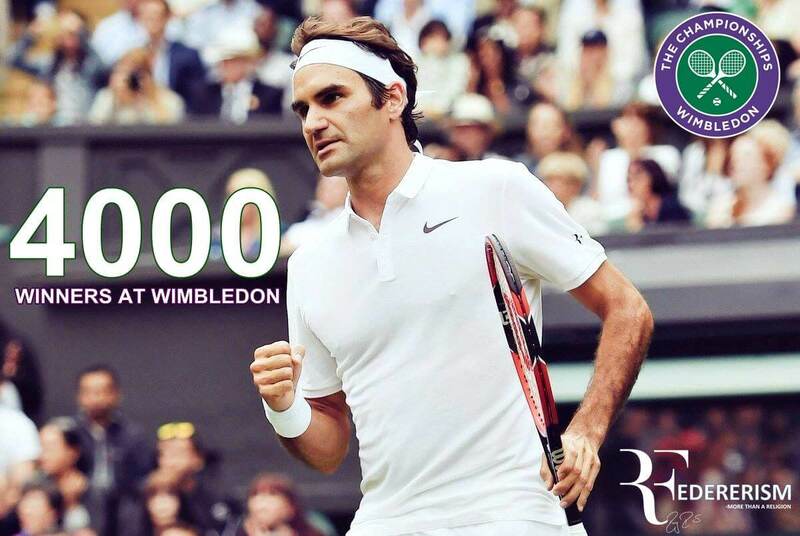 We all hope that he can win more grand slams and more records. But we should be happy with his achievements. Even if he does not win a grand slam again, he will still be our favorite. Roger Federer is our religion; the one that brings us all together from all the corners of the world. It is the love for him that binds us together; our faiths and our backgrounds don’t even matter. He is all that matters for us. We all collectively pray for him and wish that he gets all the success that he deserves. We feel his every win; it is as if we achieved a pinnacle in our own life. All his losses hurt us as if the loss happened to us; our hearts are fragile little things that get broken when we see him down. We feel connected to him and this connection is what keeps us going. His joys are our joys and his sorrows are our sorrows. When we face ups and downs in our own lives, it is he who gives us the inspiration, the strength and the solace. One look at his pictures or videos and we feel invigorated; as if we can conquer any mountain, we can fight our own little battles and win. Roger plays because he loves playing tennis. He is extremely passionate for the sport and we should be happy to just witness his magical play. We are unbelievably lucky to be born at a time when we can see him; when his spell has enchanted us. Win or lose, we shall keep loving him forever. We certainly hope he prolongs his retirement plans as much as possible. He is hungry for more titles, we are hungry for more titles, but most of all, we all just want to watch him play and feel happy. That is what he does, makes us all tingly in the heart and happy. Thank you Roger for giving us so many joys, so many friends, so many moments of pure magic, artistry and so much of happiness that we never want it to end. We will never have enough of you and we love you so much! What you have achieved, what you will achieve, nothing will ever sway our love for you. Your losses may break our hearts, but you heal our hearts too. We just want to see you happy and healthy; we will continue to love and support you, forever and for always. We invite all Federer fans to share their feeling in comments below ! So beautifully written and so so true. What else could be said or written about this so Special person whose name is:” Roger Federer”. A unique and flawless player, athlete not to mention a thousand other attributes like: Genius, Class, Elegance, The Maestro, The Champ, The Dancer, The Perfection, The G.O.A.T., The Tennis, a person who made history and continues to make history not to mention what a wonderful human being he is. The whole world loves him and so do I. A special thanks to the person/people who wrote this special letter. It couldn’t have been written any better. 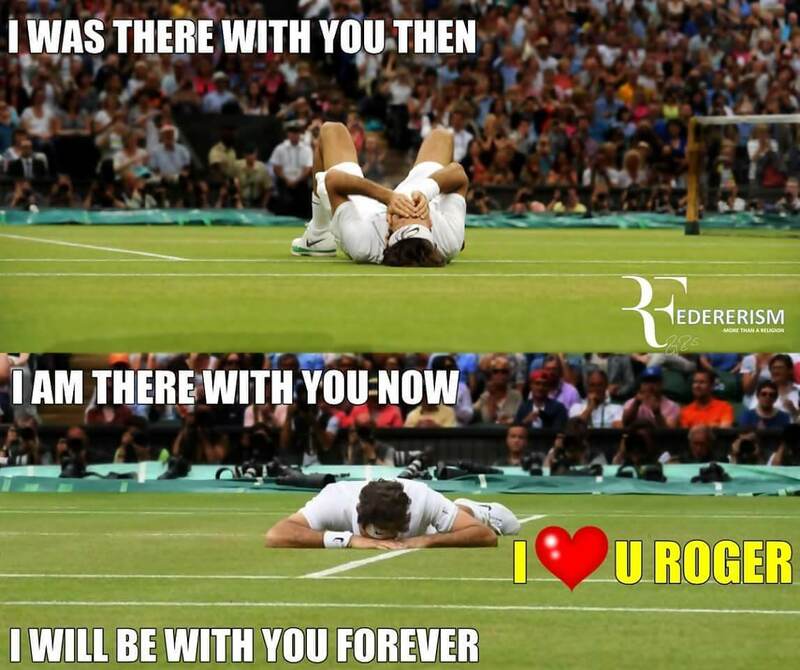 Thanks again and may Roger be playing for ever. The above tribute is as though the author was taking those words from my heart. It is so beautifully written and so on point. Thank you for expressing what I feel and the thoughts and feelings of all those that love and respect Roger for being an exceptional human being. I am proud to be in your company. Thank you. Perfectly said. Could not have said it better. We will be with him forever and alwaysm that’s just it. Such a beautiful letter! you wrote what all i want to tell about him but couldn’t do it because of my inability to articulate feelings. Truly, I became heartbroken and desolate for days after his Semi-final Wimbledon 2016 loss to Raonic. I couldn’t see him falling in the court and walking dishearteningly after the match. I feared the end of the greatest era in tennis history.Despite the joy he gave us in all these years, As you told we could never be enough of him. But, i want him to win one more Wimbledon or one more Grand slam to show and prove the critics that there is lot of tennis left in him even at this age. His triumph makes me feel him like a Conqueror of the world. I want him to be the best always.